RHR: Should You Consider Medical Marijuana? Medical marijuana is in the news frequently, but the topic can be pretty complex. What’s the difference between CBD and THC? Does all medical cannabis make you high? What conditions can it be legally prescribed for? Today I’ll cover the basics and talk about my experience using medical marijuana in my practice. 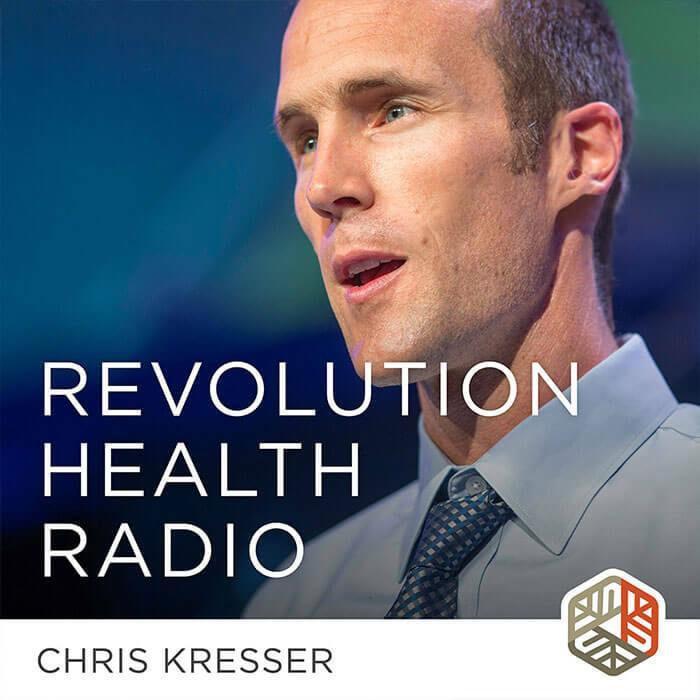 Chris Kresser: Hey, everybody, welcome to Revolution Health Radio. I’m Chris Kresser. Today, we have a question from Kristen. Let’s give it a listen. Kristin: Hi, Chris. My name is Kristin and I have a question about medical marijuana. I know it has a huge stigma attached to it, especially in the US, like in the southern parts of the US. But I know that in California it’s legal. Out in Denver it’s legal. And so I was just curious as to what your opinions were on it and if you prescribe it to patients, or if you tend to steer away from that. Does it help or hinder autoimmune diseases? Does it help or hinder cardiovascular disease? I mean those are all questions that I have and I just wanted to know if you had any kind of insight on that or just what your opinion was on it. Thanks. Chris: Thanks for sending that question in, Kristen. This is a fascinating topic for me, and it’s one I’ve done a lot of research on and we have a growing body of experience with because I’m always interested in treatments that are effective but don’t cause a lot of side effects and have a lot of long-term risks. Let’s start by talking a little bit about some basics—differences between cannabis, CBD, and THC, which a lot of people aren’t familiar with if they haven’t really looked into this in any detail. Then we’ll talk about why medical marijuana is a promising therapeutic application in medicine and for what conditions in particular that it has shown promise for. We’ll talk a little bit about the legal and social environment and some of the charges that that provides and then we’ll talk more specifically about my experience and our experience at CCFM using these approaches. Confused about medical marijuana? Learn the basics here. Okay. The terms “marijuana” and “cannabis” both refer to any of the subspecies of the whole, unprocessed, Cannabis sativa plant and its basic extracts. Within that, cannabidiol, or CBD, and delta-9-tetrahydrocannabinol, or THC, are the chemical compounds that are found in cannabis that are our particular medical interest. Now, there are numerous other compounds within cannabis that are still being studied, and some of them have already been shown to have particular effects. But THC and CBD are definitely the ones that we know the most about and have been the most actively studied at this point. This is really important to understand: THC is the psychoactive component of cannabis that’s responsible for much of the high and the changes in perception that people feel when they consume cannabis products. CBD, on the other hand, is not psychoactive and does not produce the physiological responses or the characteristic high that THC does. In fact, pure CBD is available over the counter for this reason because if it doesn’t have any THC in it, then it’s not classified as a drug by the FDA. As you may know, cannabis as a whole and THC are classified as Schedule I substances. That means the FDA considers them to be more dangerous and harmful than a drug like heroin, which is kind of ridiculous, but that’s the way it is right now. We’ll talk a little bit more about that in a bit. CBD and THC are the main compounds. THC is psychoactive. CBD is not psychoactive. Now, why does marijuana even have a medical use? I mean, for a long time, it was used recreationally and there wasn’t much knowledge of or interest in its medical use, and certainly in some traditional medical systems there was an understanding of that, but here in the West it was thought to be mostly a recreational drug. Early on, it was discovered by cancer patients that cannabis could help with this nausea and other symptoms that people would go through when they were having chemotherapy, and patients were mostly just left to use it illegally if they wanted to use it for that purpose, but it really could have a game-changing effect in those situations. People would have severe loss of appetite, nausea, and just feel absolutely rotten most of the time, but cannabis would enable them to feel much better, not have the nausea, and actually eat and not lose as much weight, which are all very important things when you’re dealing with cancer and when you’re dealing with a treatment that has side effects that are this severe. Over time as our understanding began to expand, we started to look at physiological mechanisms for these changes, and we know that the human brain contains endocannabinoid receptors, and cannabinoids can induce either an inhibitory or excitatory response from the affected neuron by acting on these receptors. These receptors bind not only to the chemicals found in cannabis, but also to endogenous compounds, which are compounds that we produce in our own body. There are a lot of known functions of our body’s own internal cannabinoids and endocannabinoid receptors that we can then study as possible therapeutic targets for medical cannabis. These endocannabinoid receptors internally have been linked to the regulation of appetite, which again makes sense given what we just said. Anyone who has consumed cannabis knows that it can produce the munchies, and that’s one of the reasons why these endocannabinoid receptors affect appetite. They affect pain management, neuroprotection, central regulation of motor function, sleep, regulation of nausea and vomiting, so again that explains its effect with chemotherapy patients , neural circuitry, intraocular pressure, memory, tumor growth, and gastrointestinal motility, to name a few. For example, CBD in combination … CBD and THC products have been used successfully in some patients with inflammatory bowel disease, and having multiple bowel movements a day can slow down motility and reduce inflammation in those cases. There is a specific type of endocannabinoid receptor called CB1. That’s the one that’s known to stimulate appetite and eating behaviors, and it’s the one that’s responsible for the munchies. It’s also the reason that cannabis can be used medically to increase appetites in patients undergoing chemotherapy, as we talked about, and also patients with AIDS and other conditions that reduce appetite. It’s been studied as an appetite stimulant in age-induced anorexia, low appetite in the elderly, which can become a pretty significant problem, and specifically those for Alzheimer’s because that disease can lead to lower appetite or forgetting to eat. There actually is some research suggesting that cannabinoids may be able to slow the disease process of Alzheimer’s by preventing the inflammatory effects induced by beta-amyloid deposition, which is a hallmark of that condition. Perhaps most interestingly in terms of therapeutic application, endocannabinoid receptors have been shown to reduce pain from a wide variety of causes. For example, we know that the analgesic effects of acetaminophen can be prevented by blocking specific cannabinoid receptors, which suggests that one of the pain-relieving mechanisms of acetaminophen involves cannabinoid receptors, and, of course, also suggests that cannabinoid receptors play a role in pain. Cannabis extracts containing both THC alone and a combination of THC and CBD have been shown to be effective at reducing pain from a number of chronic conditions as well as neuropathic pain. For example, people with MS who use cannabis report a reduction in symptoms including muscle spasticity, pain in the extremities, bowel dysfunction, and walking and balance issues. This could be due to not only cannabis’s role in controlling pain but also its effects on motor function, motor control, and gastrointestinal motility. Let’s talk a little bit about what the research shows so far about the promise of medical cannabis, and keep in mind that it’s quite amazing that the research we have already shows these impacts because the ability to research cannabis has been extremely limited by its classification as a Schedule 1 substance. That means that only a few universities are authorized to do this research, and there’s only one legal source in the whole United States from which they can obtain cannabis to perform medical research. There are a number of significant roadblocks that are limiting our ability to understand the effects of medical cannabis, and that was starting to get better under the previous administration, but with Jeff Sessions’s phobia of medical marijuana and his desire to crackdown on enforcement, it seems like if he is able to follow through, that’s going to get worse rather than better over the next period of time that this current administration persists. That’s really bad news for medical cannabis research. I think we need much more rather than less research on these compounds because they can have a game-changing effect on a number of conditions for which conventional medicine does not have much to offer. It appears to do that without causing significant side effects and risks in most cases. It’s crazy to me that we would not be spending more time and energy and money investigating this as a therapeutic approach. If you’re a skeptic, you might wonder if one reason for that is that cannabis is a whole plant and cannot be patented, and although it’s possible to develop drugs based on cannabis compounds that have unique features that are patentable, cannabis as a whole can’t be patented, and pharmaceutical companies may not be very interested. All of the funding and money that goes into doing this kind of research is not available because the pharmaceutical companies, there’s no benefit for them on the other end of that. This just highlights a number of problems we have with our current medical and research system. Anyhow, back to the conditions that have already been identified in the medical literature in terms of a potential benefit from medical cannabis. PTSD is a big one. PTSD is a growing problem, and again there just are not very many good options for people with PTSD in the conventional medical world. There is a drug that has been created, a cannabinoid drug for the treatment of anorexia and nausea among cancer and AIDS patients and that has been associated with a reduction in the intensity of nightmares in a majority of PTSD patients that were surveyed. New Mexico was the first state to allow the usage of medical cannabis to treat PTSD, and the one study that they did there revealed a 75 percent reduction in symptoms among patients with PTSD. You do not see that with any conventional treatment. This is a pretty remarkable effect, and again one would think we should be studying this more rather than less. Cancer is another interesting application. I already mentioned that cannabis and then nabilone, that cannabinoid drug, and dronabinol, which is another cannabinoid drug, have all been approved for the treatment of anorexia, cachexia, nausea, and vomiting in cancer patients undergoing chemo, and that’s been happening since the ’80s. But there’s new research that has suggested even more exciting use of cannabis for cancer patients, which is that cannabis may actually be able to treat the cancer cells themselves. Cannabinoids induce cell death, inhibit cell growth, and slow metastasis in tumor cells without harming the surrounding non-cancerous cells, which is, of course, the shangri-la when it comes to successful cancer treatments, as finding something that harms cancer cells but doesn’t harm non-cancerous cells. In one mouse model, pure THC and CBD were shown to prime glioma cells, which are cells found in a certain type of brain cancer for radiation therapy, making them more sensitive to it and to the radiation and more effectively treated by it. There’s not enough published research yet on cannabis and cancer. I would love to see more. I can tell you anecdotally that I know of several patients and centers that are using high-dose medical cannabis too and have—at least anecdotally, again these results have not been published, so we need to take it with a grain of salt—but some patients with stage four inoperable cancers who really have few other options have tried very-high-dose cannabis products and have actually reversed their cancer to the point where it wasn’t visible on the scan and they were declared to be cancer free, at least temporarily, by their doctor. This is the sort of thing that is not supposed to be possible. It defies our current understanding of cancer and cancer treatment. Again, I want to be clear here that those results were not published. We need to take them with a grain of salt. There’s a lot of snake oil peddled out there in terms of cancer and things that are promised to treat, reverse cancer, and eliminate cancer, so I think we always have to be careful in evaluating these kinds of claims, but the mechanisms do make sense. There is research to support them, and some of these stories are coming from people that I know and trust. It’s very interesting to me, especially given the rise in cancer, the fact that it’s likely to be become the number one cause of death in the next several years and that the conventional treatments are really lacking at this point. MS is another condition, multiple sclerosis, that’s shown to benefit from cannabis. As I mentioned, the studies have found that it can provide relief from multiple symptoms of MS including spasticity, pain, and motor function and control. In humans with MS, both whole-plant cannabis-based medicine and extracts combining THC and CBD have been shown to reduce the number of spastic episodes and pain. The importance there is that spasticity is one of the most common symptoms of MS, and yet it’s one of the ones that’s most poorly treated by conventional drugs or treatment options that are available. That’s what makes cannabis exciting for that condition. Finally, epilepsy. We have to talk about that because cannabis has been used for millennia in the treatment of epilepsy. You can see it mentioned in ancient texts, but it’s only been recently investigated for safety and efficacy in humans. In particular, that research is focused on cannabis use for childhood epilepsy that’s shown resistance to current treatments. You may know that some of the conventional treatments for epilepsy in kids caused brutal side effects, which in some ways can be worse than the disease itself. The results for cannabinoids in animal models of epilepsy have been mixed, but CBD has been associated with a decrease in seizure frequency in a recent human study among participants with childhood-onset treatment-resistant epilepsy. Anecdotally again, I know that several parents and kids both within our CCFM practice and outside have had some pretty remarkable results with cannabis, CBD and THC combination products in kids. That, together with a ketogenic, very-low-carb diet, has been an absolute game changer for some of these kids. They’re able to completely get off their medications, the anti-seizure drugs which can be so brutal for these kids. It restores their appetite. It allows them to function normally in their life, and it’s, like I said, can just be an incredible game changer for not only the kids but for their whole family. Those are the conditions that have been best studied so far, but there are many, many other therapeutic complications because when you understand the mechanisms, cannabis can be anti-inflammatory, it can be analgesic, it can be anti-anxiolytic. It can be antianxiety, it can help with depression, it can help with appetite. It can be a miracle for sleep in some cases for patients who have intractable insomnia that doesn’t respond to any other treatment. Taking cannabis oil or capsules that have a longer half-life than either CBD alone or some combination of CBD and THC can work where nothing else works. Given that cannabis is anti-inflammatory, and given the fact that most modern disease is inflammatory in origin, then we may surmise that cannabis could have a wide range of therapeutic applications far beyond what we’ve just talked about in terms of the four main areas. If that’s the case and if the research environment allows this, we’re going to see a lot more studies that link cannabis to benefits and other conditions for which it hasn’t yet been studied. That leads us to the legal and social environment. As many of you know, cannabis is has been legalized in some states for medical use and has also been legalized for recreational use in a smaller number of states. Federally, cannabis is still classified as a Schedule I drug, and although the stigma has gone down, particularly in those states where it’s used medically and now legal recreationally, there’s still quite a bit of that on a national basis. Now, especially with the current administration, there’s a growing question of what’s going to happen and when federal and state laws conflict. Federal laws definitely trump state laws when it comes to drugs, and there is always the possibility that federal authorities would step in and prosecute people on a state level despite marijuana being legal on the state level. In the Obama administration, there was an agreement that that wasn’t going to happen, but now Jeff Sessions is actively working to repeal that agreement so that the federal government can start prosecuting marijuana infractions and shutting down dispensaries on the state level. The NIH is providing funding to 40 active projects in the category of therapeutic cannabinoid research and this is good. I’m glad to see this, but we definitely need more research, given the promising roles that cannabis has shown and all the conditions that we’ve talked about, again, many of which don’t have effective treatments available in a conventional medical paradigm. It’s a tricky legal and social environment. If you live in a state like California, as I do, where both medical and recreational marijuana have been legalized, there are a lot of options for using this kind of treatment, and there are some really exciting groups like Constance Therapeutics in San Francisco that are taking almost like a biotech-level, pharmaceutical-grade approach to medical cannabis. They’re controlling the process from seed to application. All organic seed, and they’re specializing in cultivating particular strains and ratios and blends for particular conditions. They’re doing a lot of testing to determine which strains and which blends work best for which applications and they’re approaching it in a very serious way and having some pretty incredible results. Working with a company like that on therapeutic medical cannabis is very different, of course, from just going down to a local dispensary that is mostly catering to people who want to use it recreationally, where you don’t really know much about the quality of the product or the strains that are involved in and how you don’t really get any coaching or support on how to use it, which a company like Constance Therapeutics provides for all of the people that they work with. That’s one of the challenges with utilizing this as a therapy is that it’s kind of the Wild West, where patients are left to try to figure out all of these questions on their own when they may not really have the training or expertise or understanding of this space to be able to do that. Still, a lot of people have been able to navigate that, if possible, and if you live in a state where it’s legal, I definitely recommend working with a practitioner who is knowledgeable about these different questions and can refer you to a dispensary that has quality control where you know what you’re getting and you know you’re getting a high-quality product. But even in places where that’s not available, the safety of cannabis suggests that if you’re able to do some research and find a relatively good product, particularly CBD-only products, which are legal and can be purchased over the counter via the internet in all 50 states, I would say it’s certainly worth a try if you’re dealing with any of these conditions, or your kids are. It’s still a good idea to work with someone who is knowledgeable about therapeutic use of CBD, but that’s readily available to anybody in any state, at least at this point. Again, the current administration might change that, and I hope if any new laws come up or proposals come up to do that, if you believe in the potential of this approach, that you’ll write or call your congressman, your senator, and express your desire to see more research and more of a free flow of ideas and information and laws that support the use of medical cannabis because I think it’s a really important area to focus on in the coming years. I just want to say a few brief words about our own experience with this at CCFM, our clinic. We have been increasingly using a wide variety of medical cannabis applications, anything from pure CBD, which again our patients can just buy over the counter, to using medical cannabis products that require prescription. I should have pointed that out earlier, but even in states, at least for now, where recreational cannabis is legal, like in California, that hasn’t fully settled, then yes, so patients who are going to use products that have any THC in them have to get a prescription and a medical marijuana letter from a physician. In some cases, when we’re recommending THC and CBD blends, a practitioner from our clinic will write a prescription, and then we can send them to a place like Constance Therapeutics or other medically minded dispensaries, and they suggest a particular strain and a particular ratio of THC to CBD and then a particular dosage based on their conditions. The things that I’ve seen it be extremely helpful for, insomnia is probably top of the list, like I mentioned. It can be a game changer for anxiety in some cases, although I want to at least point out that in a small number of cases, it can have a paradoxical effect and even increase anxiety, especially if someone is not familiar with cannabis and has never used it before. It can again—a game changer for cancer support, increasing appetite, reducing nausea. I’ve seen it be very helpful for migraines, for inflammatory bowel disease, and the whole range of autoimmune diseases that are autoimmune and inflammatory. I’ve seen both CBD and CBD-THC products be extremely helpful for chronic, intractable pain, especially as cannabis products have allowed some patients to get off painkillers that they’ve been using for many years, which, as I’m sure you know, can cause a lot of adverse effects. Digestive problems like IBS, and particularly diarrhea-predominant IBS, can be helped tremendously by medical cannabis products. Those are the main ones that we use it for. There are others, but it’s really promising. All of the clinicians at CCFM are excited about it and have seen good results. It’s something definitely worth exploring. Okay. That’s it for today. Again, send us your questions at chriskresser.com/podcastquestion. Thank you, Kristen, for sending this one in. I know a lot of listeners are going to be interested in it, and I hope you all have a great weekend. I’ll talk to you soon. Hmm. Why was my comment never posted. Great podcast. I’d be interested to know if CBD oil is good for people with Sjogren’s Syndrome (autoimmune). But I see it slows gut motility and that might not be helpful for the tendency I have towards constipation with the longstanding IBS. Enjoyed this talk. Just know that Monsanto is developing gmo marijuana. It will be legal soon nationwide (I believe) and they WILL alter the plant. Scary, huh? Really good article, well written. In general Sativa is good for depression, Indica is good for anxiety. A hybrid would be good if someone has both but like Chris said the ratio is important and most dispensaries don’t delve into that and it’s important. For just increasing appetite CBD will do it as will Sativa. It would be great if more places operate like the one in San Francisco mentioned in the article. My cousin says that marijuana greatly reduces his pain for many hours. I’ve never tried it but now that I’m in my mid 60s and have typically had pain in my joints and pain in my muscles daily…..I’m seriously considering weed as a solution. The doctors have given me supposedly great pain killers (Gabapentin 800mg and Tramadol 50mg) but I have never taken any of them for fear of side effects and addiction. I prefer natural remedies like marijuana!! Yes. With natural, organic chemistry, it’s the alkaloids provide the actual relief, no matter what has been taken. For pain, turmeric in a large enough dosage will provide relief for most people. If you want to get high, get high, but don’t disguise your wish as a way to eliminate pain; there are far better alternatives. I’ve taken a teaspoon of Tumeric with my eggs every morning for the last 8 months along with 1 tsp garlic, 1 tsp cayenne pepper, 1 tsp black pepper and tsp ginger. I’ve been on this diet for 8 months because I had a heart attack last year. If I wanted to get high I would have taken all the pain killers the doctor gave me (all still new in the bottle)!! I’ll take any alternatives but don’t insult me. I have the money and the means to get blitzed if I wanted to but I don’t like taking drugs. Marijuana seems more natural and I prefer the natural methods to modern drugs. I used CBS oil for a couple of weeks to manage chronic joint pain and I saw NO changes…any suggestions? The FDA, which controls and regulates the Controlled Substances Act, needs to take a new look at all this. If the THC really helps, then permit its use, either through injection by a licensed health care professional, or orally, the same as any other prescribed drug, but certainly not as a Schedule 1 classification. No need to smoke it; smoking doesn’t have any positive benefits for anyone, except the growers. Let Big Pharma handle it.